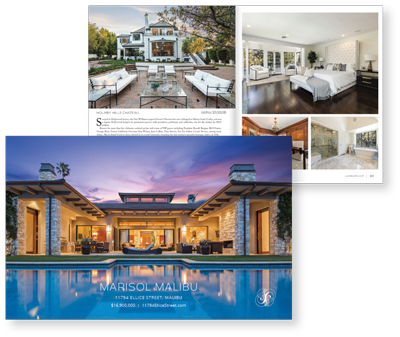 Using your property's stunning photos and video footage, our creative team spanning graphic designers, copywriters, video editors, and motion graphics artists - all specializing in real estate creative production - produce the distinguished visual assets that will power your property's custom marketing plan. 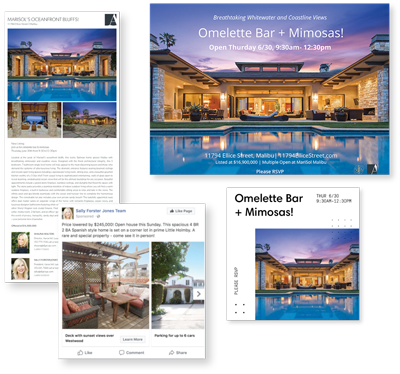 Our in-house copywriters and graphic designers weave together compelling photography, inspiring descriptions, and innovative layouts to produce custom property brochures and print ads designed to cut through the clutter and showcase your property in the best possible light. 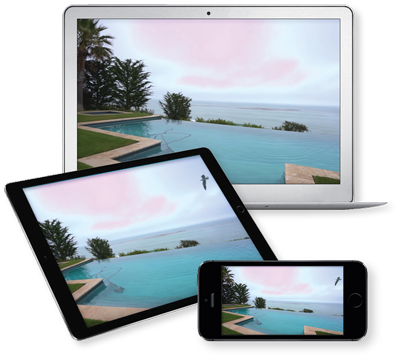 Your property photos and descriptions are also formatted into an array of digital formats to power custom digital marketing campaigns across search engines, email, social networks, display advertisement networks, website sponsorships and custom URL websites. We work with the leading videographers specializing in real estate creative production to capture the magical lifestyle enabled by living at your property using sight, sound and motion. With today's real estate market full of fast-paced, tech savvy buyers, marketing properties with a video is a must.